Have you strolled down Putney Bridge Road recently? It’s full of cafes, health and beauty salons, retail shops and some of your favourite takeaway spots. 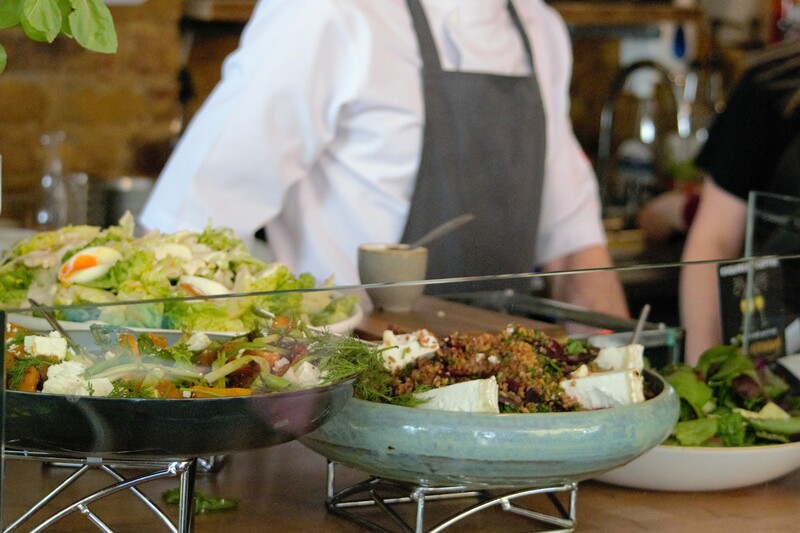 The Dynamo, a local favourite, is the runner up for Time Out London’s most loved local restaurant and cafe and sits at the heart of Putney Bridge Road. They serve classic breakfast choices like avocado and toast or, a lunchtime favourite, sourdough wood fire pizza. Keep an eye out on their website for exciting family-friendly events in their restaurant. If you’re looking for an indie cafe spot to spend a well-deserved break, why not head over the road to Esquires Coffee? Their fairly traded and organic products are well worth a try – from their flat whites to their club bagels – the menu will definitely not disappoint. Behind the cafe front is a larger space, enough to get all your colleagues and friends together to spend some time over great coffee. They’re also participating in ‘Refill London’ and are officially a Refill station. To find out more click here. Fancy authentic Chinese cuisine instead? Eat in Mei Wei’s relaxed and friendly restaurant or order a takeaway to enjoy your favourite dishes at home. If fish and chips are more your thing then Zaga has been frying for 30 years. The restaurant offers all of the fish and chip classics including mushy peas and large cod, as well as some exotic surprises like swordfish. They don’t have a licence to sell alcohol but are licensed to have alcohol on the premises meaning you can bring your own. Looking to freshen up your home with some new decor? Putney Bridge Road features Laura Ashley and Trinity Hospice Furniture Shop, places where you can find super treasures for your home. Brewers is your one-stop location for all your painting and decorating needs. They’ve been in Putney for over 55 years and the staff have great depth of knowledge and experience. They have an extensive range of wall coverings and a wide range of trade paints and designer brands, as well as paint mixing and tinting capability in-store. For your electrical needs try family firm – D.V.Melvin & Sons – established in Putney since 1960. Fully registered and fully qualified they also have some great Putney stories to share. New shop – Putney Hardware – is the perfect shop for DIY fanatics. The shop is a family-run business making it a relaxed and friendly atmosphere. Customers can purchase supplies for bathrooms, radiators, and boilers. On the other side of Putney Bridge Road you’ll find the perfect place for health and beauty services. 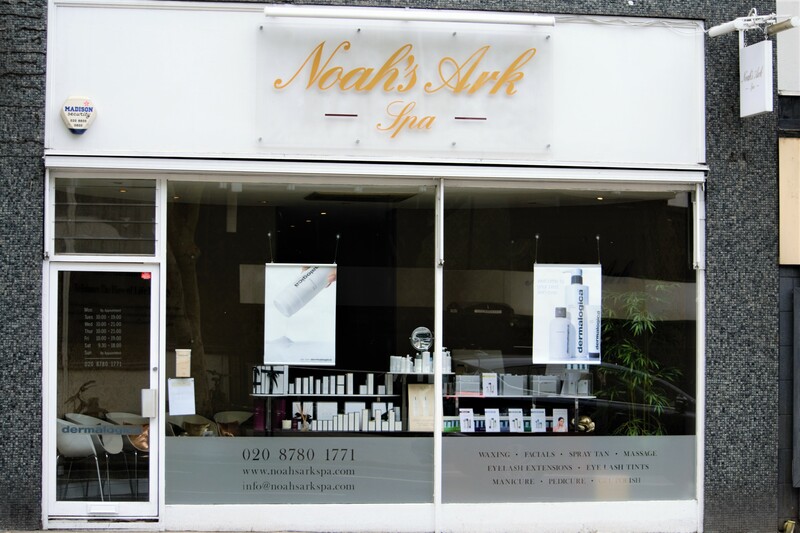 Noah’s Ark Spa boasts a relaxed atmosphere and a range of beauty treatments from facials to waxing and more for both men and women. They also stock much loved beauty brands such as Dermalogica Skincare, CND for manicures and pedicures and Beau Bronz London. Peterpenny’s Hair and Beauty Salon is an independent salon, established in 1995 by husband and wife Peter and Penny, each of whom have over 20 years’ hairdressing experience. They are a unisex hairdressing salon providing a wide range of hair cutting and hair colouring, including children’s hair cutting and styling. Their qualified beauty therapist also offers an extensive range of beauty services in their relaxing treatment room. On the corner of Oxford Road you’ll also find Live Free Wellness which offers services for those who want to ‘walk, run and play free’. Services include chiropractic care, acupuncture and hypnotherapy. Do you have a budding musician in your family or need to practice yourself? Windsor Music School, a new addition to Putney, is a sister school of the renowned Windsor Piano School in Berkshire, founded by Professor Edita Stankeviciute. Edita and her faculty of professors will be providing students with a rich and diverse learning environment. Through the school’s unparalleled Russian teaching methods, the students will be nurtured to gain all of the required successful musical skills and qualifications they aspire to. If you want to find out more about the shops in Putney Bridge Road and the rest of Putney, check out our business finder and browse our interactive map to search what you’re looking for. We assure you there is something here for everyone. What’s your favourite place to visit on Putney Bridge Road? Tweet us @putney_bid, we would love to hear from you.